Parking Lots – Alaniz Construction, Inc. Prior to starting on any paving project we always check that the area is sloping correctly and inspect the functionality of the shape. We can offer solutions for any problems that might be identified during this process. Depending on the condition and makeup of the existing area it might be necessary to install a base, such as road mulch to provide sufficient support for asphalt installation. 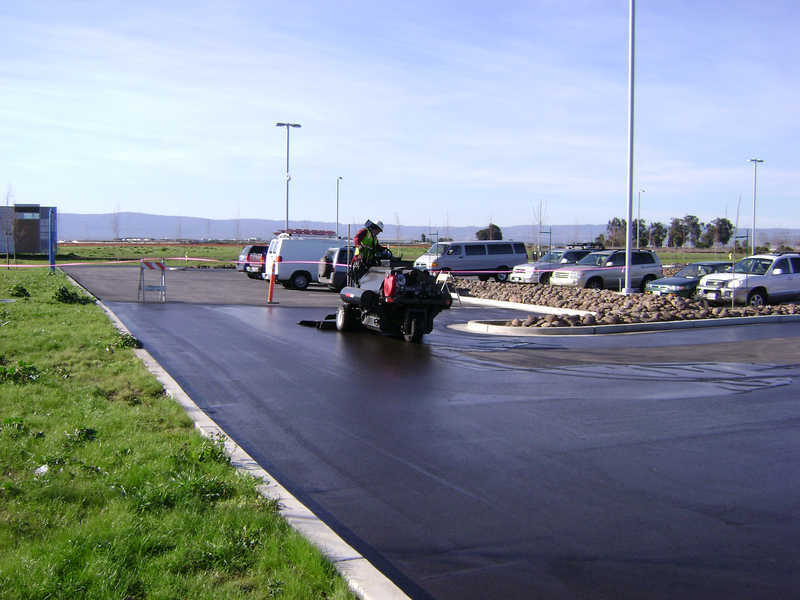 We can provide grading and paving services for existing parking lots, as well as new construction. 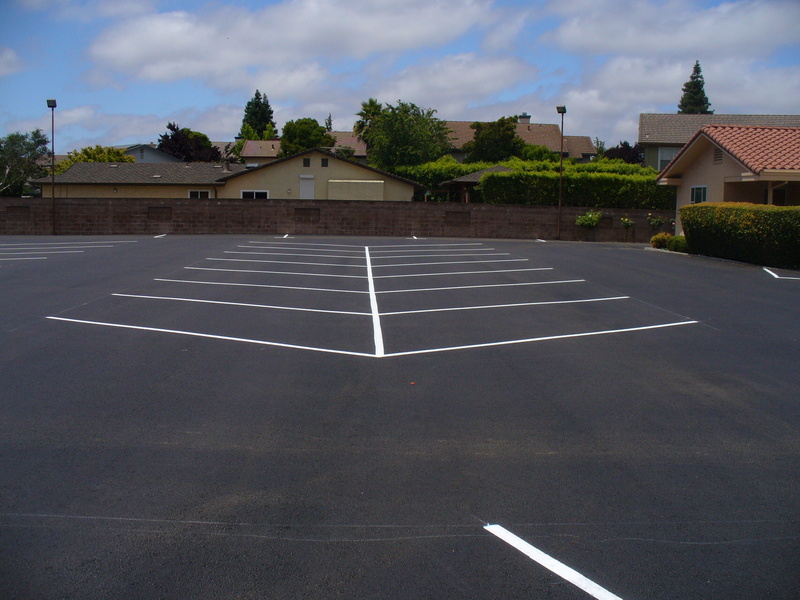 Make any size existing parking lot look and function like new with resurfacing and repair services from Alaniz Construction, Inc.
You might be surprised at how affordable it can be to install or resurface your parking lot. Find out for sure when you schedule a personal consultation at your business. 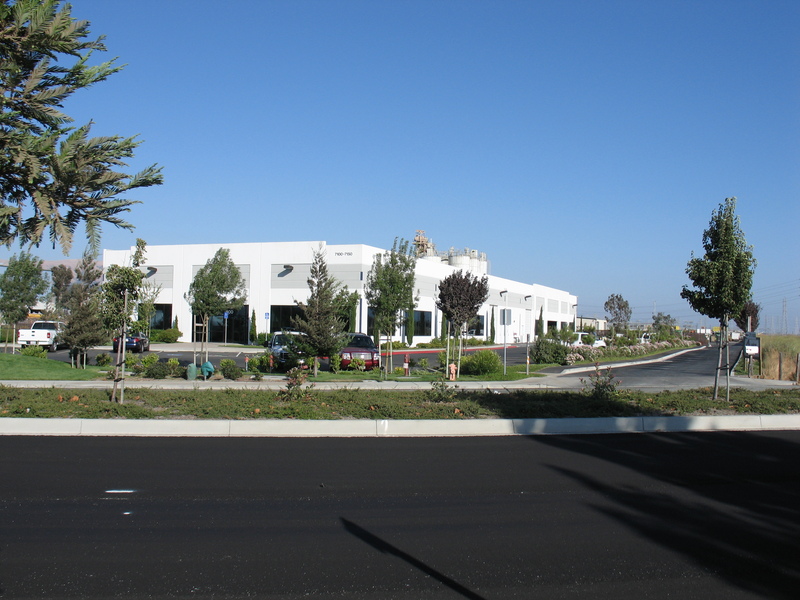 If you would like to know more about our parking lot maintenance or about our other paving services, please give us a call or send us an email. We got you covered! A parking lot is not just a place to park cars: It’s the first thing people see. Think of it as your welcome mat. Keeping it in top condition tells customers that you care and are in business for the long haul. And just like your car needs service every 3,000 miles, regular parking lot maintenance and upkeep is necessary to protect your investment. An annual maintenance plan that includes seal-coating, pavement markings, crack-filling and patching restores and protects your pavement. Working with Alaniz Construction on an annual basis keeps your lot looking fresh and saves you money. All asphalt eventually has to be replaced, but you can significantly slow down the replacement cycle with a long-term maintenance program that includes sealcoating. 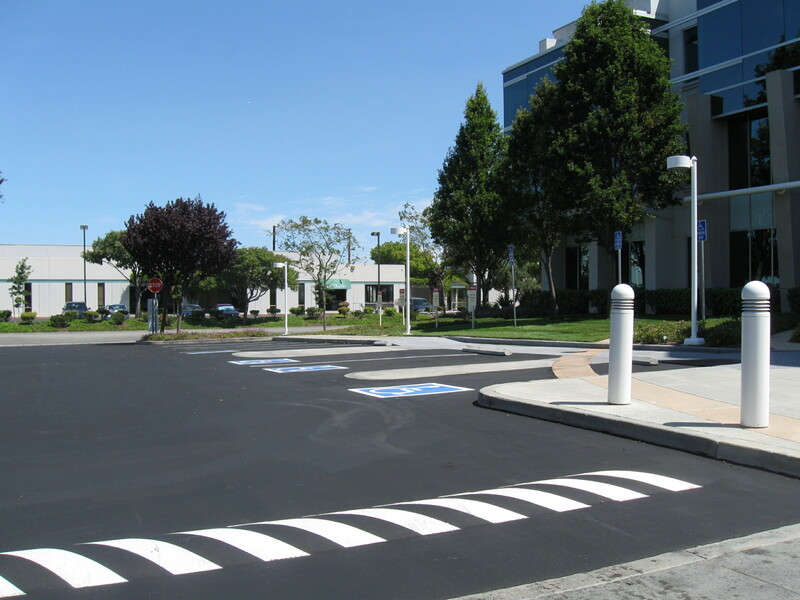 Regular applications of sealcoat can extend the life of your asphalt pavement and save you up to 300% in maintenance costs over a 15-year period. 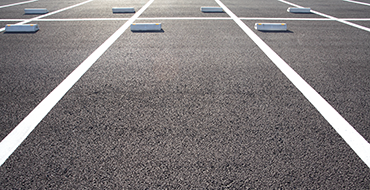 If you’ve had a new parking lot installed in the last year or two, a fresh coat of sealcoat is a must. It’s a smart preventive action against deterioration, and it makes older surfaces look new again. 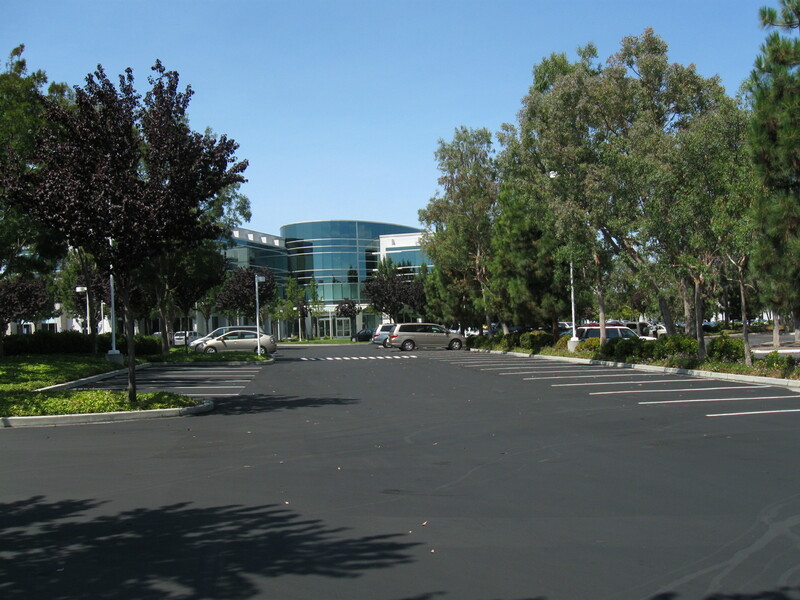 Left untreated, your parking lot’s biggest enemies—rain, sun, oil and even oxygen—speed up the aging process and give way to cracks, potholes and eventual failure due to water infiltration. 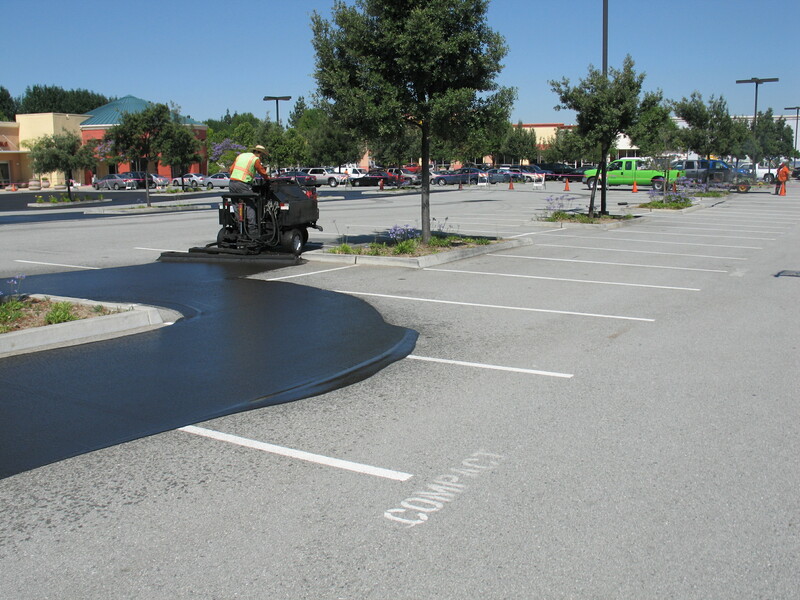 That’s why sealcoating makes sense, from residential driveways to shopping mall parking lots. Parking lots are expensive. Next to HVAC and roofs, they’re the biggest cost (and source of headaches) for property owners and managers. Sealcoating costs pennies per square feet compared to asphalt paving, and helps maintain and extend your pavement usability and viability. Sealcoating makes for a good-looking lot. Jet-black pavement and crisp lines give off a strong first impression you can be proud of. Mother Nature is relentless and unforgiving. 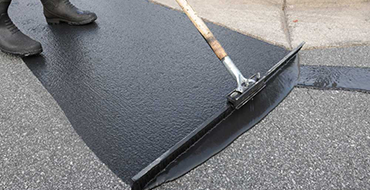 An application of sealer coats and seals the porous surface of asphalt and prevents water penetration and surface oxidation caused by UV rays. Traffic and automobiles are relentless and unforgiving, too. 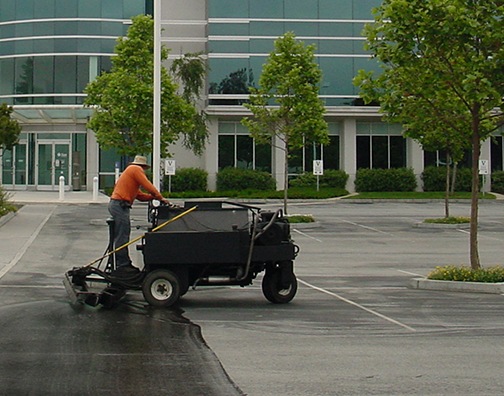 Without sealcoat, gasoline, oil, rock salt and other chemicals can eat away at pavement—and your bottom line. Sealcoating creates smoother, more efficient surfaces. 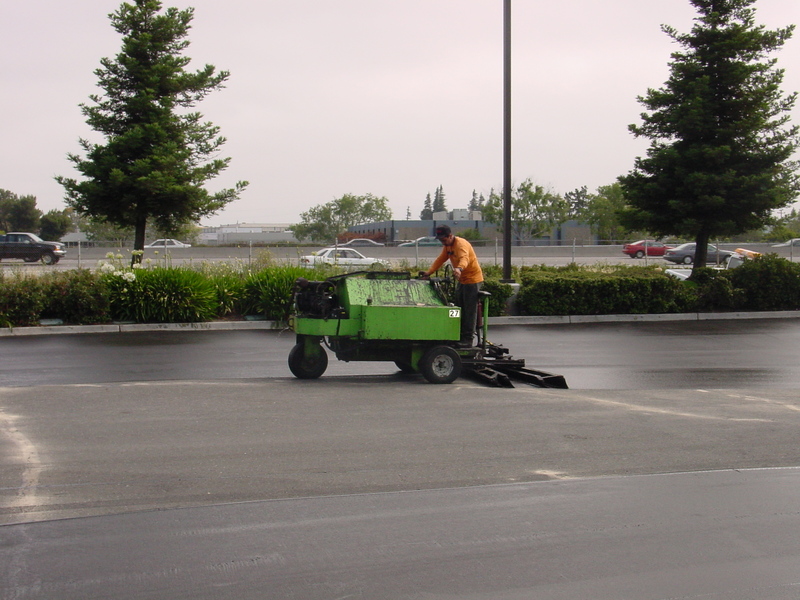 Regular sealer applications keep your pavement surface smooth, which lowers operational costs for cleaning, maintenance, and snow and ice control. 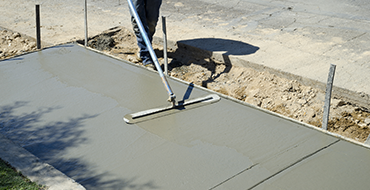 Alaniz Construction offers different sealer products and applications (squeegee or spray) to fit your needs. After inspecting your surface, our Pavement Problem Solvers can recommend a solution that best fits your needs. When your parking lot starts to crack, it’s time to take immediate action. if you’re not careful, a single crack left untreated can expand into hundreds fractures that threaten the integrity of your pavement. Cracked asphalt allows for water to penetrate the asphalt and make its way down to the base and sub-base, weakening it and the surface above. 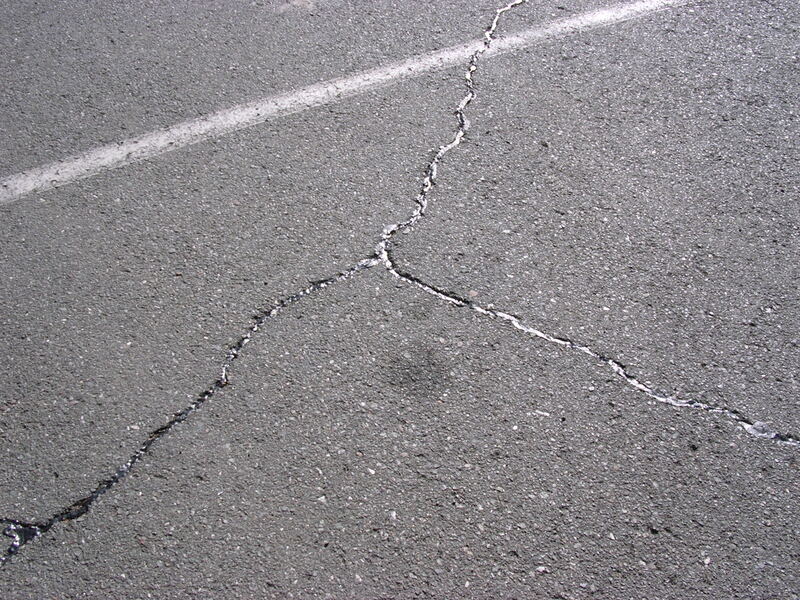 Cracks can expand and cause pavement failures that could result in costly resurfacing. Annual crack filling is a simple, cost-effective procedure that saves property managers and owners from expensive repairs later on. 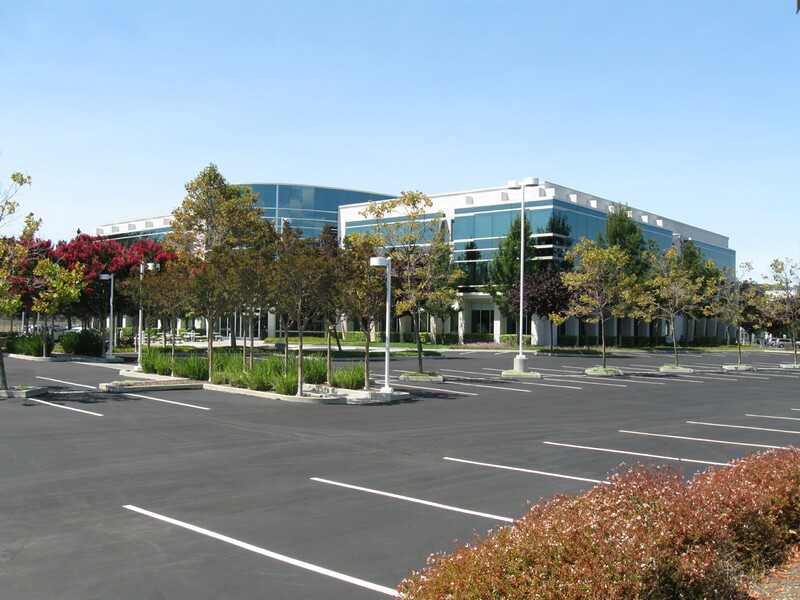 Our staff identifies the troubled areas, fully cleans and/or routs the cracks depending on size and placement, and seals them with an emulsion filler that adheres to the pavement and creates a successful barrier against water, oil and chemicals. 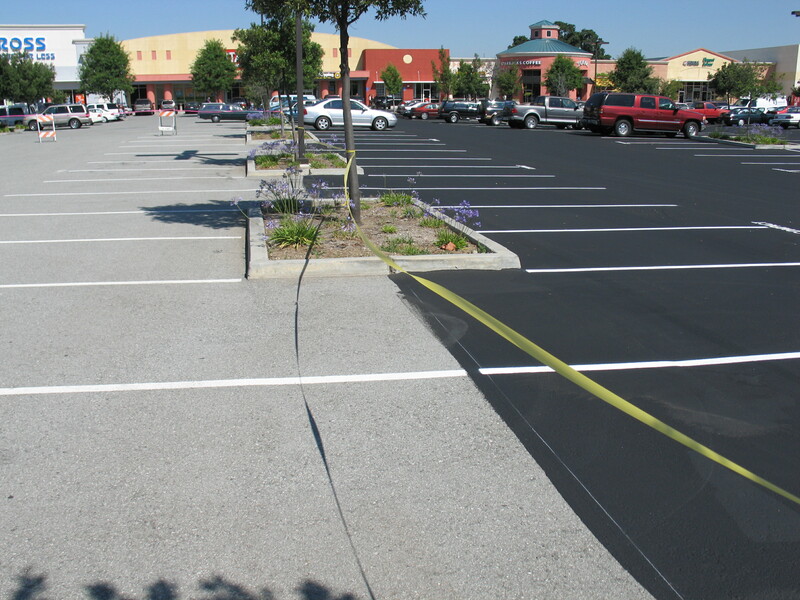 Whether it’s directional markings for a fast food drive-thru or stalls in an entire shopping center parking deck, Alaniz Construction’s professional striping and pavement marking services provide clarity, safety and superior traffic control in an aesthetically pleasing package. 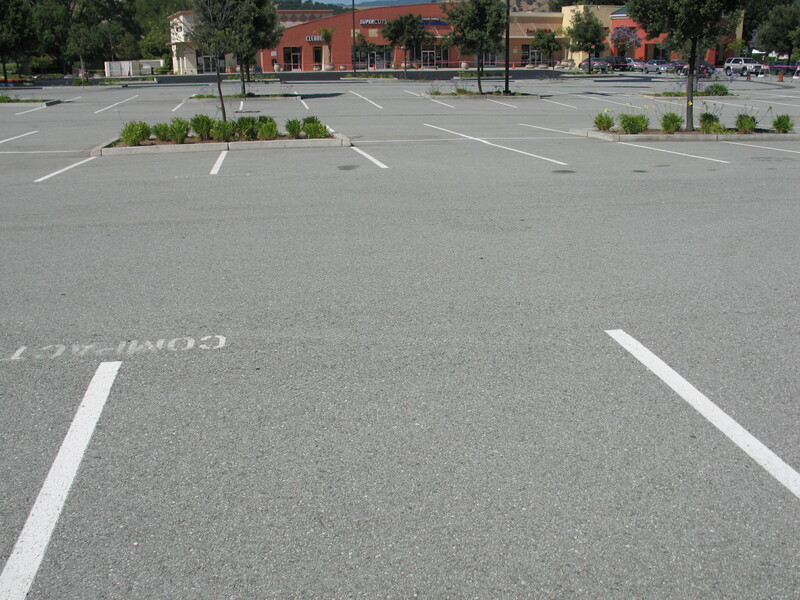 Parking lot design and redesign that maximizes space, improves traffic flow, and increases visibility. Exact recreation of existing parking lot layouts for customers happy with their current setup. Assistance to achieve full compliance with Americans with Disabilities Act (ADA) guidelines. 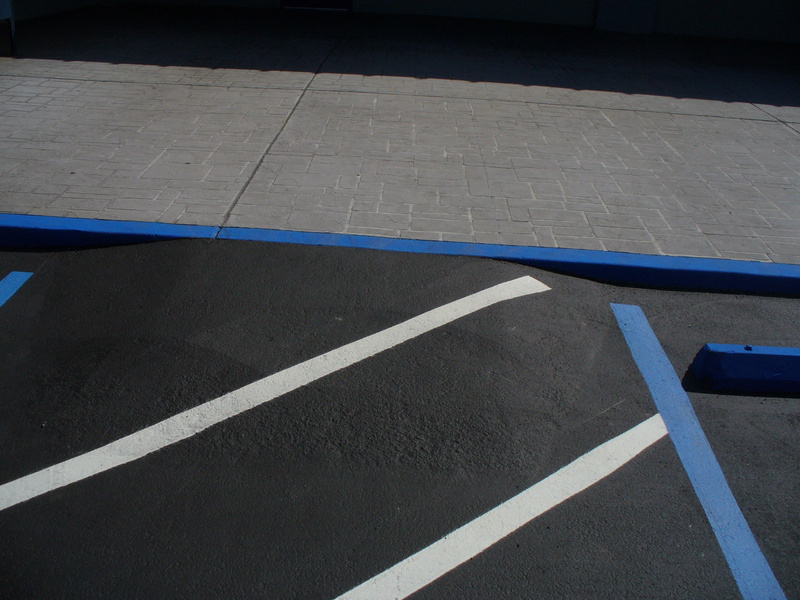 This includes proper size, markings and signage for handicapped-accessible parking stalls. 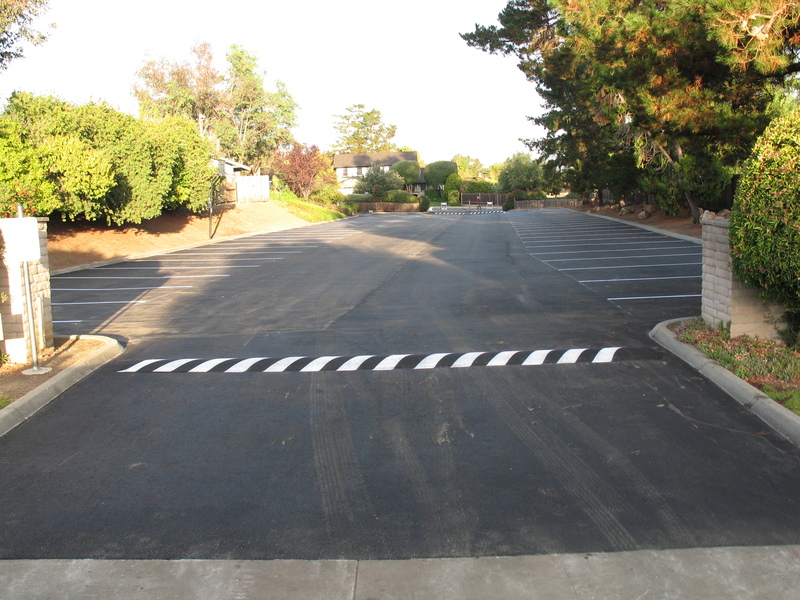 Yellow or white lines painted with durable, Department of Transportation-compliant latex paint. 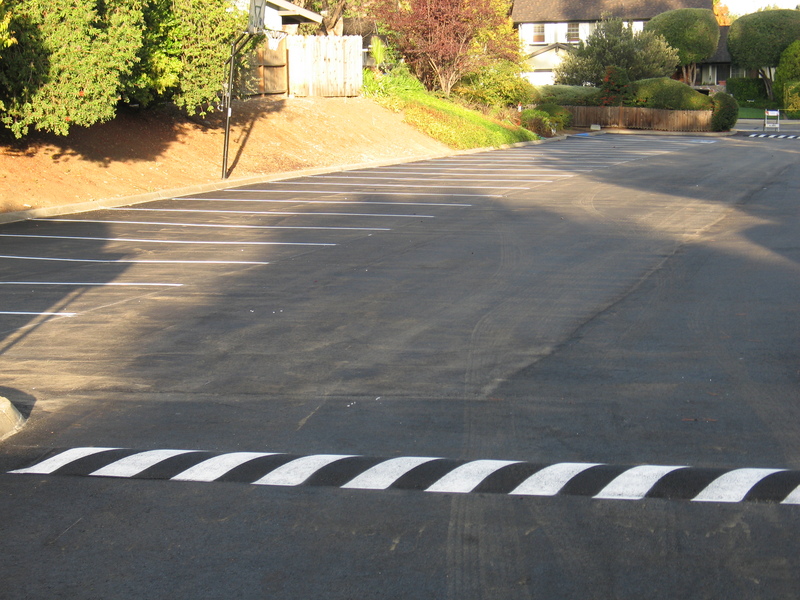 A full line of markings and parking designations that can be customized for your parking lot or roadway. These include arrows, crosswalks, no parking areas, loading zones, fire lanes, speed zone labels, right-of-way designations and more. 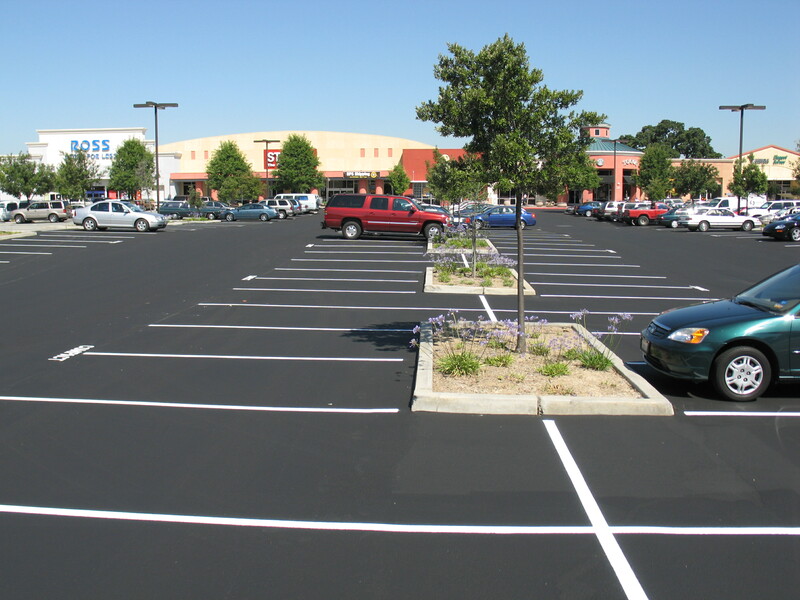 Whether it’s a shopping center parking lot, sidewalks in a residential community or shared roadways, Alaniz Construction, Inc. offers a full range of professional cleaning, sweeping and power washing services to remove dirt, debris, and potential vehicle hazards such as stray nails, rocks and broken glass.